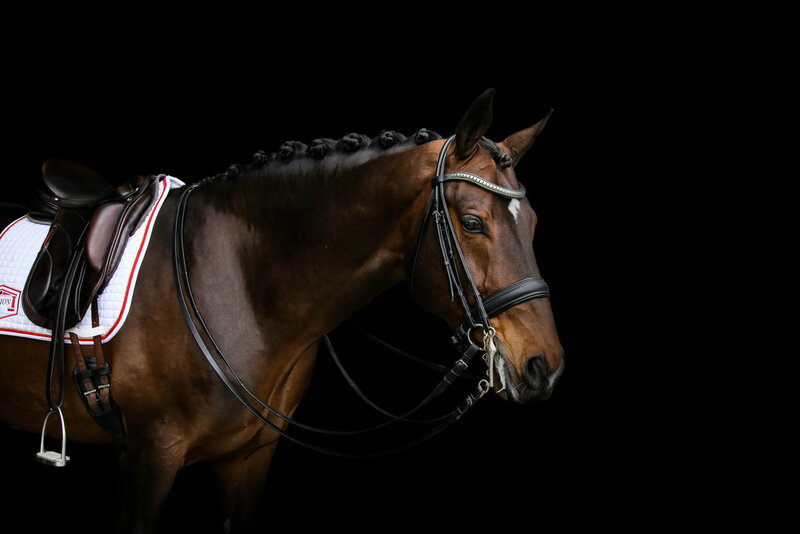 In his 30-Day-Test in Schlieckau, Germany, Beltano (Belissimo M-SPS Heavenly, Hohenstein) a 16.3 hh Hanoverian stallion, earned impressive rideability scores of 10.0 from both of his test riders. He received a 9.0 for his interieur, an 8.5 for his trot and an 8.75 for his canter. With these scores Beltano placed second in the dressage phase with a total of 145 points. In 2014, he also qualified for the Bundeschampionat. His progeny are often tall, and have a beautiful type and gaits. His sire Belissimo M has had a successful career earning Bundeschampion for dressage horses, and placed fifth in the World Young Horse Breeding Championships. Beltano is currently competing in the small tour with Olympian Guenter Seidel with scores in the mid 70s. Beltano is approved Hannover with further Verbands upon request. He is located at Hengststation Jens Meyer in Dorum, Germany. The stud fee is €700.